Purchase and send Gift Cards with credits and a personal message to yourself or your friends. Never miss a moment. 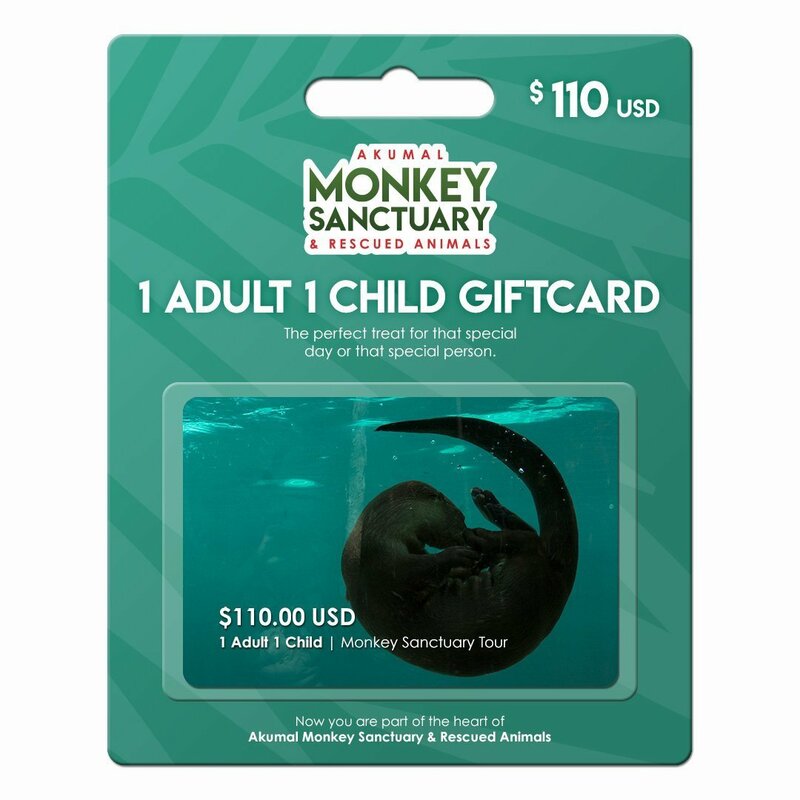 Akumal Monkey Sanctuary Gift Card is the perfect treat for that special day or that special person. 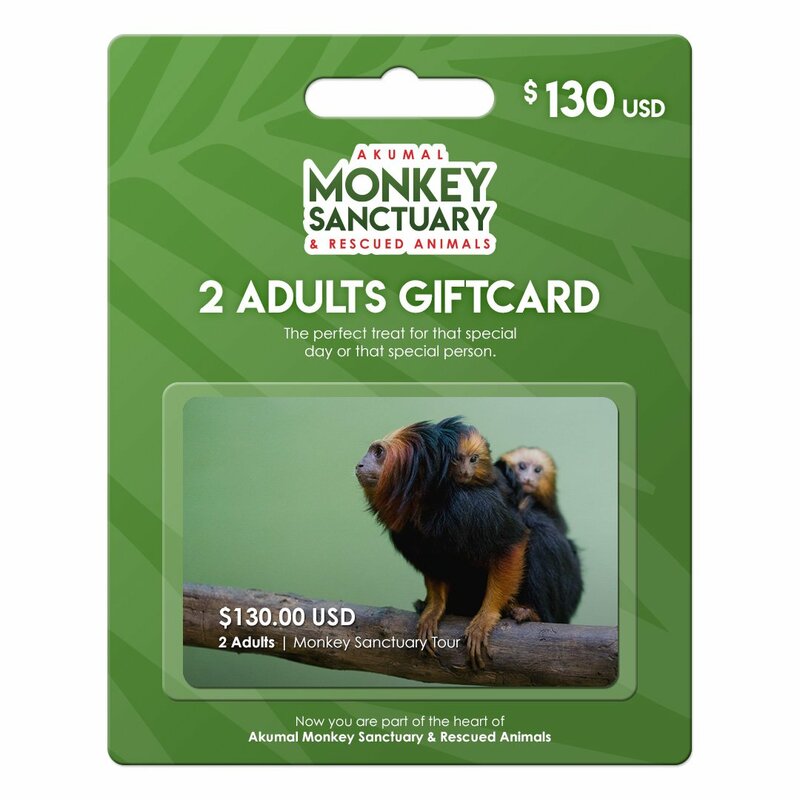 Note that Akumal Monkey Sanctuary Gift Cards can be redeemed on the AMSRA Online Store and at AMSRA Box Office only. Follow these simple steps and give a unique experience. A monkey experience! 1. 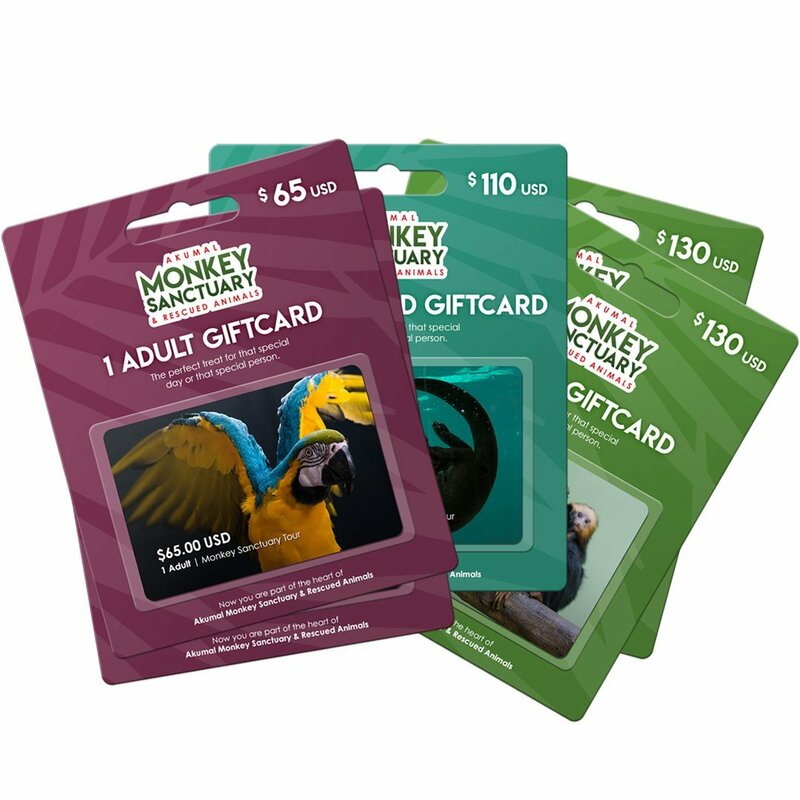 Select the type of gift card to give away. 2. Write the mail of the person who will receive the gift card. 4. 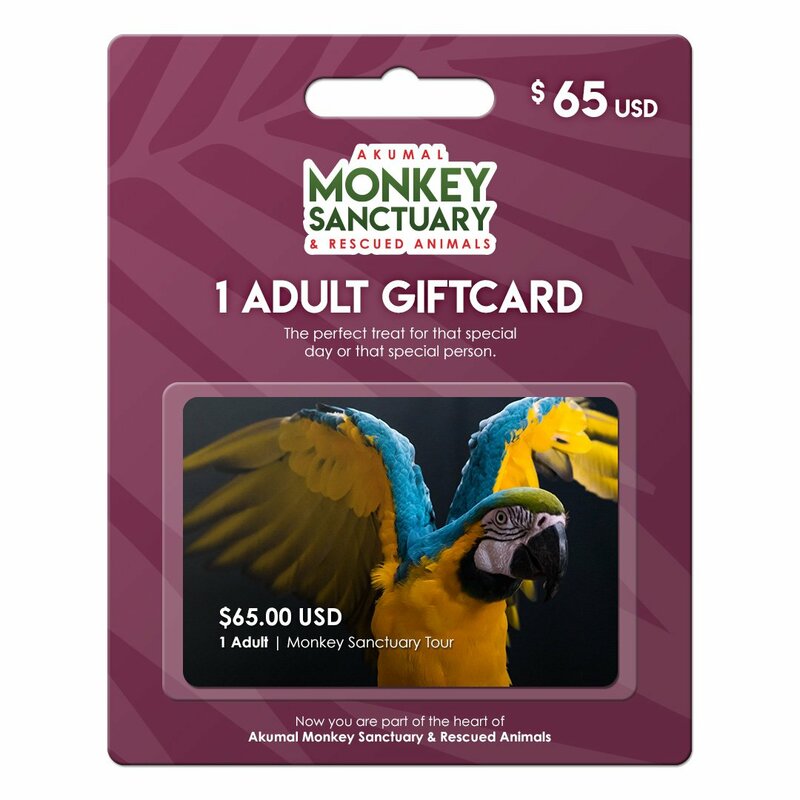 You will receive an email with the coupon code to make the gift valid.